Fallas graduated from the School of Science and Mass Communication at the University of Costa Rica, where he focused on Media Production. He also received a Specialization in Film Post Production at Centro de Capacitacion Cinematografica in Mexico DF. Fallas’ work includes editing and post-production on several short films, including Bajamar (2009) and El Hijo de la 40 (2010, second place winner in the AXn Film Festival). He was the colorist for Irene (2013), short Norma (2013), which shared the Short Film award at the 2013 Film Festival in Costa Rica. His feature work includes Password (2000), Mujeres en el Acto (2002), Del amor y otros demonios (2009) Luces de Esperanza (2010) Puro Mula (2011), Por las Plumas (2013) Dos Aguas (2014), Viaje (2015) and Presos (2015). In addition to his post production work, Fallas teaches and lectures on editing and post-production. 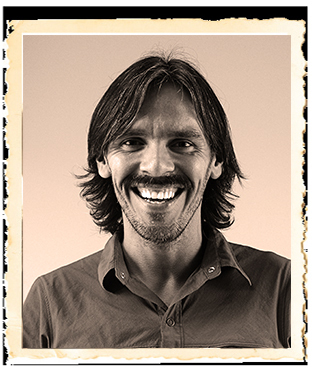 Since 2011, he has been the Academic Coordinator of “A Technical Career in Editing and Post Production, Audio & Video of Costa Rica”, at the Center for Technology and Visual Arts (CETAV).